Few things are more detrimental in an industrial environment than a power outage. Losing electricity, even for just a few minutes, can significantly impact productivity and subsequently profits. Not only do you lose time while waiting for power to be restored, you generally also have to wait for everything to be operational again. 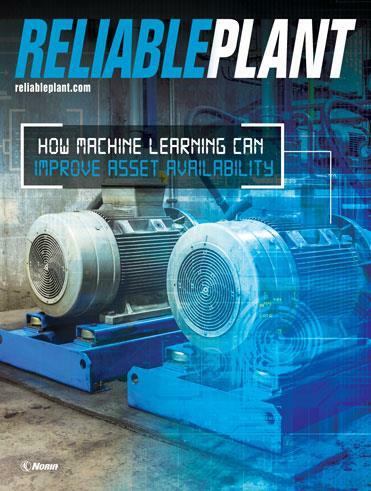 Although most plants have contingency plans in place for these types of situations, there are tools that can help reduce the frequency and number of outages as well as get the plant back online sooner. By deploying smart energy solutions, including wireless energy sensors and smart meters, you not only can better control electricity usage and reduce costs but also more effectively manage power outages. 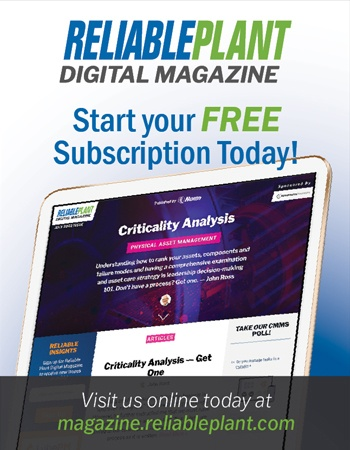 While some power outages are unavoidable, such as when a major storm takes out a nearby transformer, at least 25 percent of all industrial outages are caused by equipment failures. Smart meters can be valuable tools in reducing these types of outages. The typical smart meter is comprised of two primary components: the actual electronic meter that measures the energy information and a communication module that sends and receives data. The meter itself is part of a larger network of meters and communications managed by a dedicated IT application. This application collects information about what is happening along the metering system, processes it and sends it to the appropriate systems along the network, including the outage management system (OMS) and the system that controls energy consumption. Managing energy consumption not only can save money, but by scheduling high-usage tasks during periods of lower energy usage, you can reduce the risk of overloading the system and experiencing an outage. However, when smart meters are combined with wireless grid sensors, the outage reduction capabilities become even more clear. 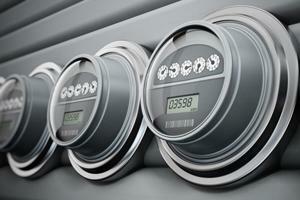 Smart meters are usually paired with smart grid sensors, which are placed along the power distribution grid. Power companies use these sensors to remotely monitor power equipment, including power lines, to identify problems before they become disruptive and to more easily find and diagnose issues when they do occur. Most of these grid sensors are paired with powerful analytics software that can detect power overloads and circuit imbalances, measure voltage and provide insights into circuits that aren't working correctly. When something goes wrong, these sensors enable technicians to locate and fix the fault more quickly. This can help prevent an outage from happening in the first place or, if it does happen, significantly shorten the duration. Using wireless grid sensors also allows for the verification of power status in real time. By sending data to the network in real time, it's possible to remotely and automatically manage power. For example, the system can turn power on and off as needed or provide information about communication or other failures that may lead to an outage. In addition, when the sensors are connected to the OMS, it can determine which issues are simply a matter of a single circuit being down and which are more widespread and serious. The same systems you use to manage power inside the plant are employed by utility companies to control power on a larger scale. By implementing this technology, organizations can benefit from incentives and bonuses for reducing power consumption as well as from the outage detection and management protocols of the power company. Utility companies want to reduce power outages and ensure that the outages that do occur do not last long. While companies will use any number of methods to reduce the likelihood of an outage, smart meters are proving to be quite useful for this. These meters can automatically report abnormal events such as power disturbances or momentary outages to the power provider. These events are often a precursor to a major outage. By tracking and analyzing short-term power issues, the provider can better identify a problem and correct it. Preventing power outages is an important part of maintaining productivity and keeping your plant up and running. Smart meters and sensors can be useful tools in this effort, saving you time and money. Dan Simmons is an electrical engineer working with Microchip Technology Inc., a leading provider of micro controller and analog semiconductors.